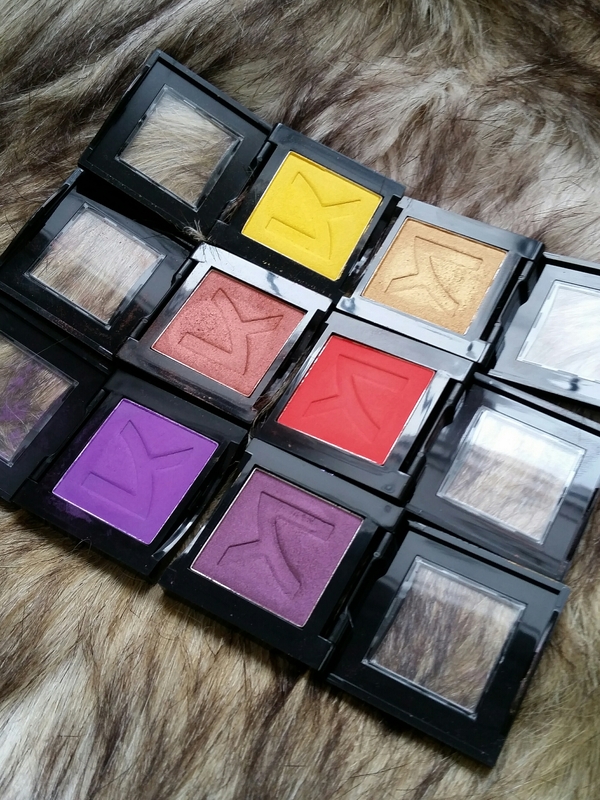 I was originally drawn to these when I saw the large variety of bold colors and a tester for each and every one! The first shade I purchased was the matte orangy-red shadow called “Geranium.” As you know from all my looks and reviews, I. Love. Warm. Colors. Using it, it was very pigmented, however, the formula isn’t as smooth and creamy as Tarte or Urban Decay shadows, but the finish is still beautiful, especially if you use a light hand to apply and blend it out. Clearly, I loved Geranium, so I bought five more (also, next time I went they were $2 off, so I bought the next five all at once haha). They retail original price at LD for $6.99CAD (they’re cheaper on the Kiss website: $4USD, which still converts to less than $6CAD!) BUT I got the others on sale for $4.99, so I’m still winning! I don’t know where else they sell these in Canada other than London Drugs. I purchased three bold mattes with three matching shimmers. Like many shimmery shadows, they are a little less opaque than mattes, so a nice bold background makes them pop even more. Although I like to wear mattes by themselves, sometimes a little more glam is necessary! I chose these colors because these are 3 out of my 5 favorite eye makeup colors (missing browns and olive greens, maybe I’ll buy those next) so I knew I’d be using them often and giving them a fair chance for review. Not going to lie, not all the shadows were equally pigmented, they have a very bold royal blue and it was pretty transparent, however most I was pleased by. 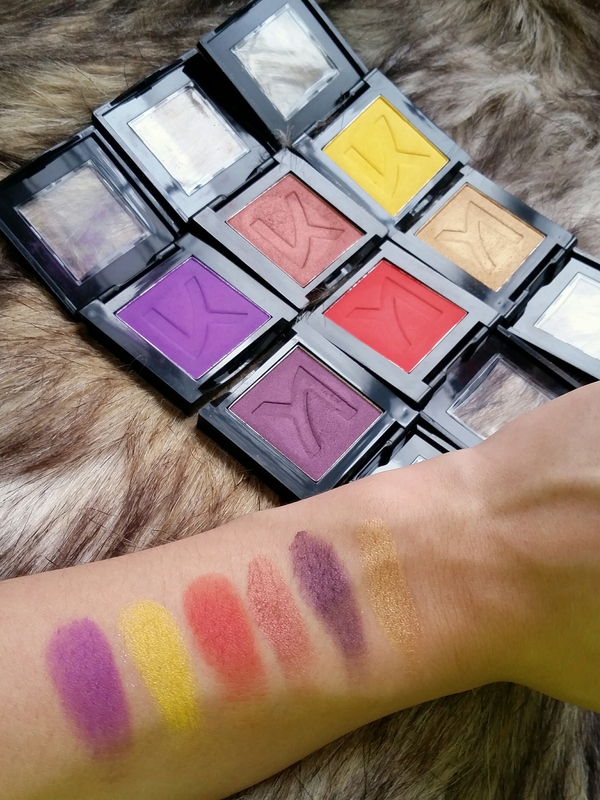 For the best pigmentation for bold colors, I’d still choose a high end palette over these, but if you’re not wearing bold bright colors often, these are better. Check my swatches below! Here is a photo of how the shadows look on the outside. They are pretty minimal. The one thing I love is that you can see the shadow through the case AND the pan is very big. The amount of shadow for the price is on point. Great job Kiss. My verdict is that these are great little eyeshadows and a great option if there is a certain color you want but don’t want to purchase an entire palette. They have I think 20 or 30 shades currently available, so tons of choice! Thanks for checking out another #IYGAReviews! I hope you like it, and if you have tried these shadows, what was your verdict? I’d love to know. Have you tried any other Kiss products? I’ve seen lipsticks, face makeup, etc, but haven’t felt adventurous enough to try them out. Have a lovely day! 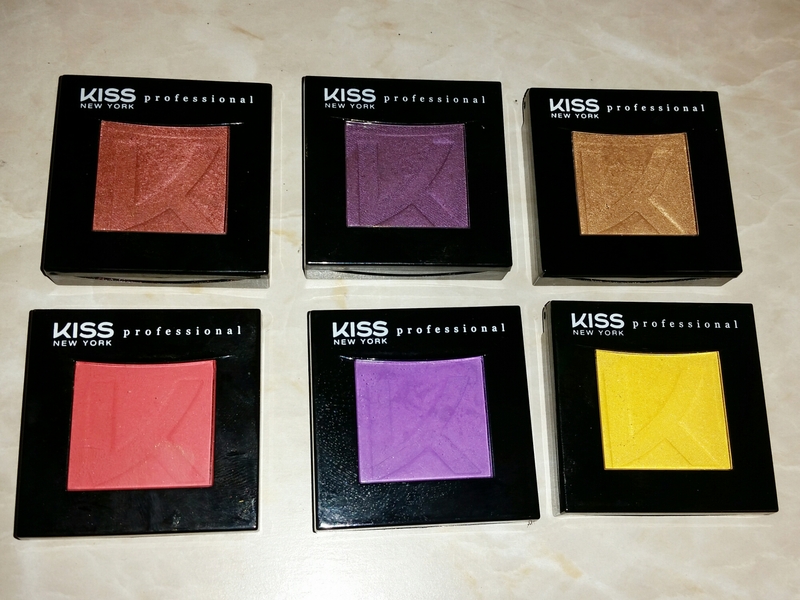 I have never tried kiss shadows . These looks so beautiful and the color payoff is amazing!